Have you ever tried drawing a flower, but it didn’t come out the way you wanted it to? Well…, drawing flowers may seem easy, but it isn’t at all! Everyone usually mess-up on the leaves, petals, or just makes it look unrealistic. If that’s the case, this How-To article is just for you! 3. Then on the stem, lightly sketch big and little oval shapes. After, add little curved point at the edge of the ovals to make leaves. 4. After that, draw rhombus like shapes all around the perimeter of the circle. You can also curve the points to make petal-like shapes. What should I do? My mom and dad are having fights 24/7 and don’t know what to do. I overheard one of the arguments about having a divorce. I’m scared, but I act like I don’t have any problems. I want them to get together again. Please help me! The quarreling situation started ever since when my mom accidently broke my dad’s favorite golden cup. It was on ACCIDENT!! I wish dad would understand and not yell and fight anymore… I want to have proper parents like most people. I want them to be happy, too. Please tell me before it might get too late!! Good thing! I’ve been through the (almost) same situation. I remember that my parents were always fighting nonstop! They talked about divorce. Sometimes I wished they would shut-up and say sorry, but it never happened. My only advice for you is to be patient. All you have to do is wait because they will figure out everything by themselves. I always think the problem like this: they fight because they love each other. It might sound cheesy, but it was the problem. People still have different opinions about other things and like different things too. Your parents don’t hate each other. It’s more like they can’t catch up with each other. Don’t try to get involved in their situation. (It will only make things worse.) If you keep worrying, you can’t enjoy life! Besides; they will think of you while fighting, and probably get together again! 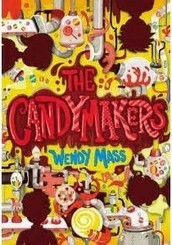 Candy Makers… doesn’t it sound like a group of kids who had a dream of being world famous Candy Makers and became them? 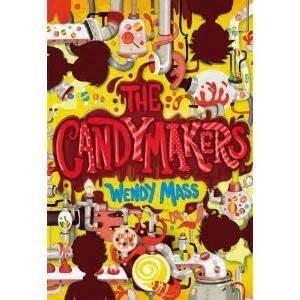 Well… it’s not EXACTLY like that… Candy Makers is a story when a boy named Logan (Candy Makers son) and three others find out secrets of each other. Find out to unveil their true identities and evil plans as the four 12-year-olds: Logan, Miles, Daisy, and Phillip enter the all Creative Candytastic Contest to WIN? To LOSE? Or the secrets of their scary, traumatizing pasts for revenge? I rate this book a 4/5 stars because even though it is a mystery story, there are too many details and explanations. It gets confusing, and tiring to read sometimes. It WAS a good book and it will ALWAYS be a good book.